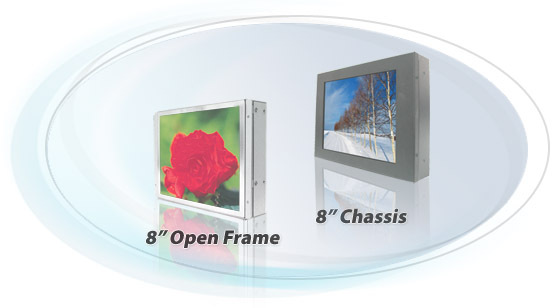 Winmate launches the new 8” Openframe and Chassis LCD Monitorand add this to the LED-Backlight product line. 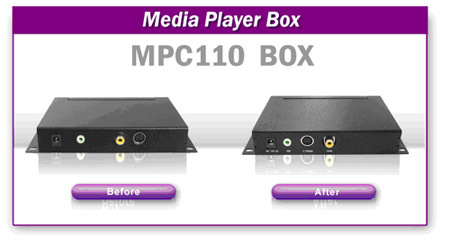 To achieve better production efficiency and shorten the product lead time, Winmate has released the new media player board to support two kinds of Standalone Media Player (MPC110 BOX & MPC200 BOX) since March 2008. LED Backlights are the new trend for TFT’s. So Winmate launches the new 8" Openframe and Chassis LCD Monitor and add this to the LED-Backlight product line. The resolution is up to 800x600 with amazing 16.7M colors. The new panel with LED backlight provides extreme color expression with low power consumption. Winmate launches Open Frame and Chassis, as well as display kit for integration. To achieve better production efficiency and shorten the product lead time, Winmate has released the new media player board to support two kinds of Standalone Media Player (MPC110 BOX & MPC200 BOX) since March 2008. The new MPC110 BOX has different I/O placement, but remain the same mechanical dimension as the old model (see Figure-1).